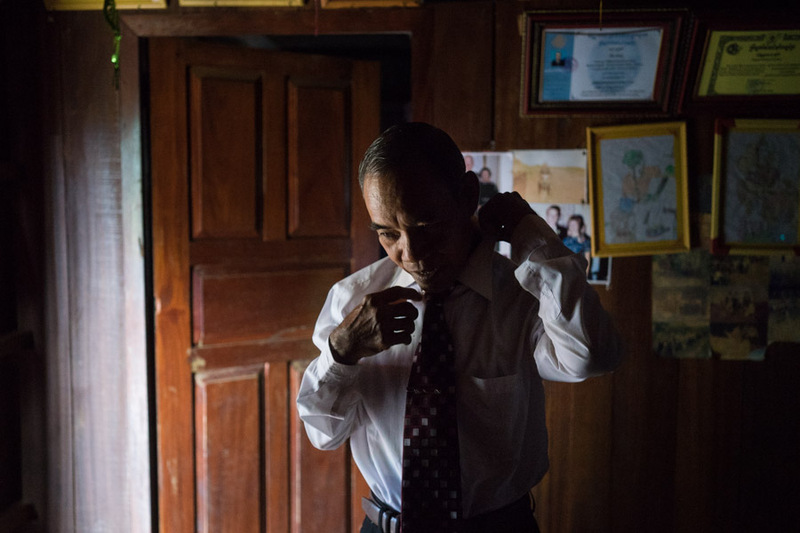 Chin Thanh’s family almost died due to the US bombings, leading them to flee Cambodia in 1970, evacuating to Vietnam. The whole village evacuated across the border, also escaping the Khmer Rouge. 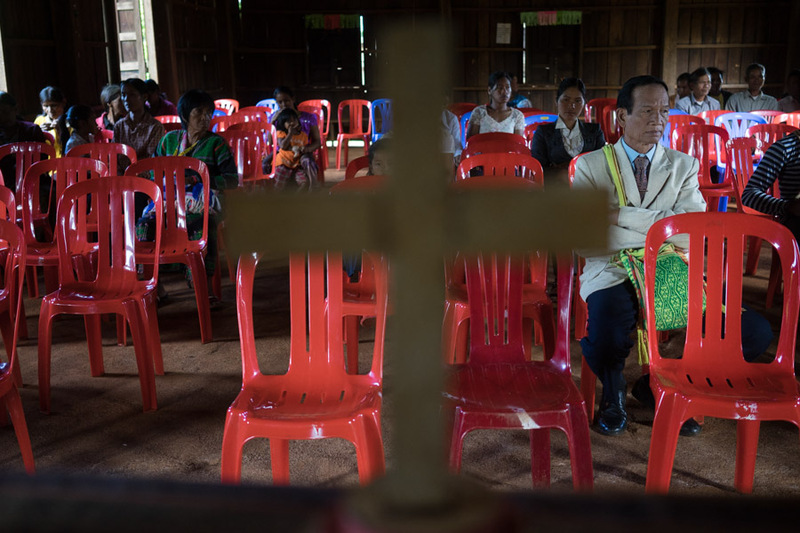 Across the border they met christian aid workers and missionaries, who converted the Phnong refugees. His family were introduced to chrisianity by an American family, who were visiting the church in Vietnam to teach the ways of christianity. Many Phnong refuges were converted during their time of displacement in Vietnam. 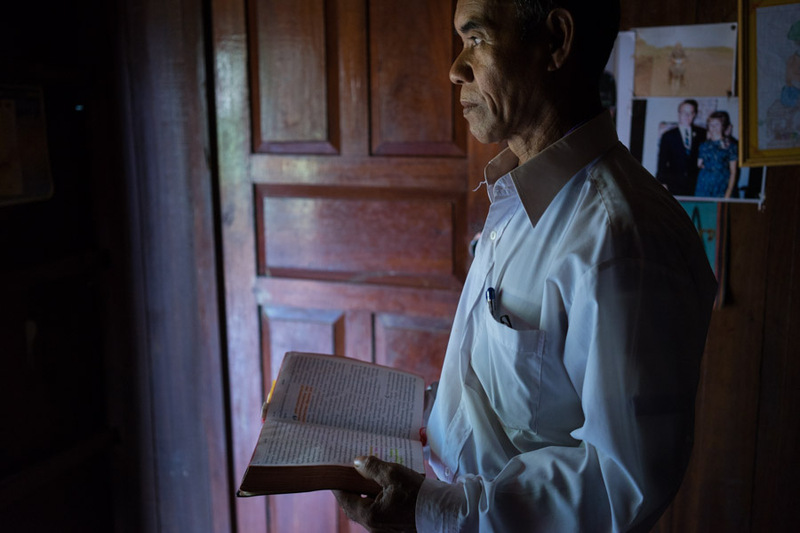 He estimates that around 90% of the once Phnom village, are now Christian. 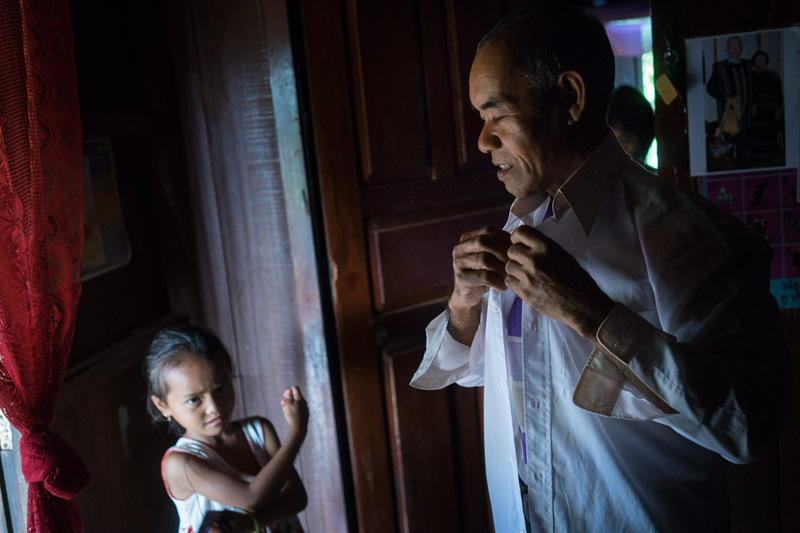 After years of refuge in Vietnam, they returned to the village in Cambodia in 1986, where they also took their faith, and is now the priest in an indigenous community church, where the majority of people are christian. The church where he has been a priest since 2013, has been open since 2004. 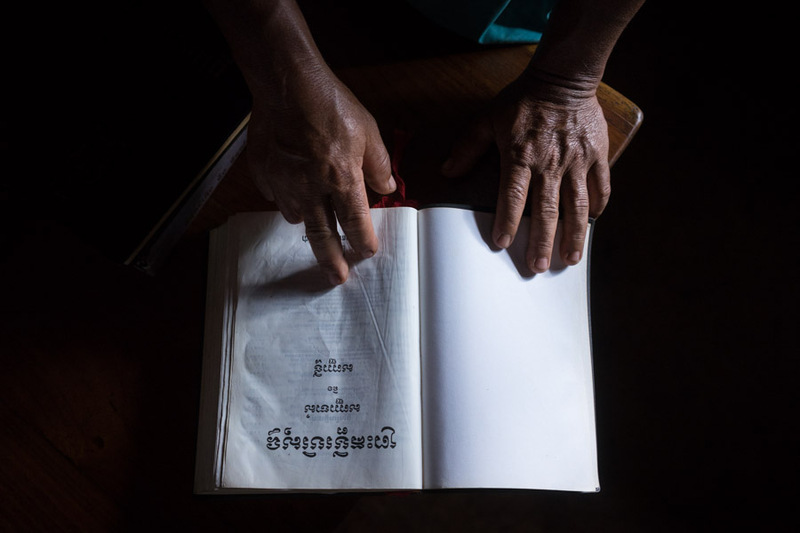 Most people in the village attend church every Sunday, where they can read the bible and hymn books which have been translated into khmer, as well as Phnong translations. Over time he says the villages and culture has changed, and not just from religion. Before the Khmer Rouge people used to live with nature, with no markets as people had no need to buy products, since everything was home grown. Now he says there are newcomers in the village, and it is developing and changing, not like it was before. Though change has been embraced, as he says Christianity is better for poor people, than Phnong customs, as there are no animal sacrifices which can be a waste of money, and expensive for poorer people. Before he fled the country, and became a christian, he used to see a lot of village elders sacrificing animals when they were sick, or for special occasions. Now he preys to god. Christianity is important to Chin, as the spirit is always with him, whether he is dead or alive.